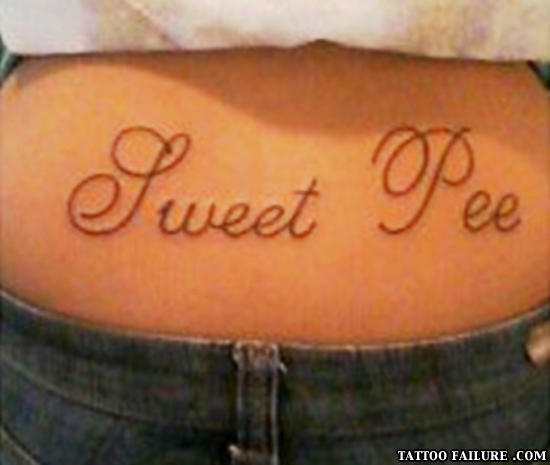 She's going to be pissed when she learns how to spell..
Its sad 13 year old girls can seduce tattoo artists for free tattoos. The front says "on me"
They could have fixed this easily. it'd be a stupid looking "a" if you added a tail. I found it: Jweet isn't a word. sad thing is it would have been pretty if people could spell! How do you make transportation in Harlem easier? Fix the roads and put in more stoplights.